Although consumers in the US and Europe are more likely to avoid sugar than fat, those living in Latin America and the Middle East rank their concerns in the opposite order, with fat a higher concern than sugar. Consumers in Latin America too, are more interested in increasing fibre consumption (70% compared to a global average of 52%), closely followed by consumers in the US (60%), consumers in the Middle East (50%), and consumers in Asia Pacific (48%). When focusing on fibre, it’s important to understand the various reasons consumers want to eat more, as well as the fibre sources they prefer. It’s not surprising that digestive health is the top motivator globally. Consumers in Europe are also interested in fibre for a ‘healthy diet’, whereas consumers in the Middle East are primarily interested in fibre because it helps keep them ‘full for longer’. ‘Regularity’ is a top driver in Asia Pacific and Latin America. At Tate & Lyle, we offer a portfolio of fibres. At Tate & Lyle, we offer a portfolio of fibres, including PROMITOR® Soluble Fibre and STA-LITE® Polydextrose. PROMITOR® Soluble Fibre is a corn based soluble fibre with exceptional digestive tolerance and excellent process and shelf stability. Depending on specific country regulations, PROMITOR® enables manufacturers to make a variety of fibre content claims and health benefit claims including low glycaemic response, prebiotic benefits and enhanced calcium absorption. 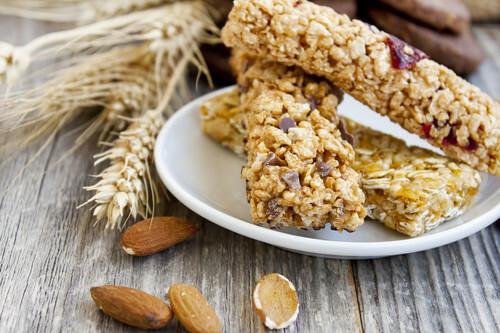 Our STA-LITE® Polydextrose is an easy-to-use soluble fibre that imparts little to no colour or off flavour, has superb process and acid stability and provides the mouthfeel and texture of sugar, making it an ideal alternative in products that offer reduced sugar and calories. Our broad expertise in fibre combined with cutting-edge research and production facilities enable us to help you develop a variety of foods and beverages that provide the many benefits of fibre, and give consumers the taste and texture they enjoy.